The Scottish Tenant Farmers Association has urged the Agricultural Holdings Legislation Review Group (AHLRG) not to lose sight of the importance of maintaining security of tenure and encouraging investment in tenanted farms. The AHLRG has just concluded a final round of public meetings where they tested their thinking in in front of mixed audiences of landlords and tenants. Tenant reaction to these meetings has been mixed with many expressing disappointment that some of the more progressive ideas have become watered down. STFA Chairman Christopher Nicholson who attended several of the meetings said: “There has been some good stuff coming out of the Group’s thinking. They are on the right track in the proposed changes to rent reviews. Improved compensation for tenant’s improvements is welcome as are greater rights of succession and assignation for family members. Our calls for an ombudsman have been heeded and it looks as though the Group now recognise that the ombudsman must have statutory powers and codes of practice must be mandatory. “However, there seems to be doubt emerging over the future of plans for open assignation of 1991 tenancies which the Group had hailed as a potential solution to many of the problems found in the tenanted sector. STFA welcomed this initiative as a way of encouraging much needed investment in tenanted holdings whilst providing older tenants a route to retirement to allow new blood access to secure tenancies. “The much diluted proposal to limit assignation to lifetime Limited Duration Tenancies is seen as a short term-fix signalling the demise of the secure sector which has been the backbone of Scottish agriculture for the last sixty years. Food production is just as important now in Scotland as it was when security was introduced and there are people who want to be part of that economy and security is an essential ingredient for investment. “It must be in the public interest that tenanted land under secure tenure is preserved as a resource for future generations. Turning the clock back to the days before security of tenure when tenants were at the beck and call of their landlords is a bleak prospect and one which will only add fuel to the demand for ARTB. More importantly, the review will miss the opportunity to breathe life into a stagnant tenanted sector and rural communities by failing to put the farming ladder back in place and encouraging innovative projects for new entrants such as share farming. Members of the Review Group will discuss their emerging thoughts on their proposals and are keen to hear from tenant farmers, their landlords, landowners and other interested individuals on their views on the proposed approached. Tenancy reform will be the focus of an open day to be held next week (Thursday 23rd Oct) on an Aberdeenshire farm where tenant farmers will have the chance to put the Agricultural Holdings Legislation Group’s (AHLRG) latest thinking to the test. The review group have been conducting exhaustive research into the operation of tenanted sector and are now sharing their ideas with the industry in a series of meetings before finalising their report, due in December. Well known tenancy expert, Hamish Lean, and other members of the Group will also be attending. The open day is to be held on Craskins Farm near Aboyne, a 700 mixed unit tenanted by the Ross family. The land is rented from the MacRobert Trust and is made up of 1991 tenancies, a Limited Duration Tenancy and seasonal grazings. 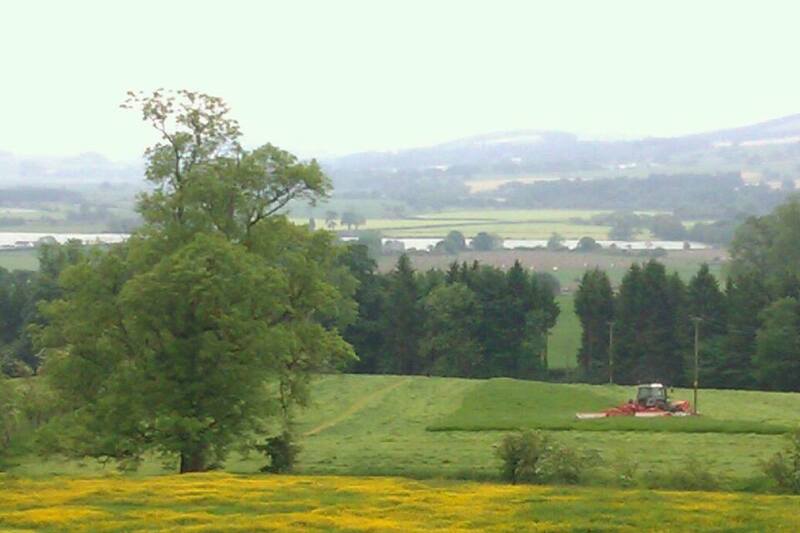 Farming enterprises include beef cows, sheep and malting barley with all progeny finished at home. The mix of land holdings and the range of fixed equipment provided by landlord and tenant will provide an ideal practical test bed for the Review Group’s proposals. Rent reviews, are due for a shake up as the AHLRG seek to base rent setting on the productive capacity of the farm rather than on the open market – an approach tenant farmers have been advocating for well over a decade. The open day will provide an opportunity to examine how a new production based rent system might work on the ground using practical examples. Other topics up for discussion will be tenants’ improvements, succession and assignation of tenancies and the creation of opportunities for new entrants to the industry. The meeting is open to members of STFA and non-members are welcome to join on the day and should register beforehand. The Scottish Government has published a Greening FAQ on the CAP Website – see link below. This is a “living document” and will be updated as clarification is received on certain issues from the Commission and as further decisions are taken. This guidance is welcome with the current uncertainty over the implementation of the CAP and should help producers decide their plans for next year. To avoid any confusion regarding the recent agreement between NFUS, STFA and SL&E the news release and full text of the joint memorandum can be found below. The three main membership organisations representing landowners and tenants in Scotland have launched an industry led initiative designed to improve confidence in the rent review process for 1991 Act tenancies. The initiative from NFU Scotland (NFUS), Scottish Land & Estates (SL&E) and Scottish Tenant Farmers’ Association (STFA) reflects the fact that the Agricultural Holdings Legislation Review Group (AHLRG), is considering the issue. The initiative from the three organisations is voluntary but is intended to ensure stability until any emerging AHLRG recommendations on legislative changes can be implemented. The initiative also follows a number of recent rent determinations in the Land Court which have given rise to some uncertainty about future rent levels. Believing that predictability about future rent levels for tenanted farms is fundamental to a healthy rented sector within Scottish agriculture, the groups want to create the conditions to allow landowners and tenants to plan and invest with a degree of confidence. On process, rent reviews will continue to be carried out as normal. However, where agreement cannot be reached, the new initiative requires landowners and tenants to have followed existing guidelines on rent reviews and introduces an additional ‘sense check’. The initiative will be subject to voluntary self-regulation through a review panel comprising senior office bearers (or recent former office bearers) from the three organisations who will examine a case and assess whether it passes a ‘reasonableness test’. It works on the principle that, in the absence of exceptional factors, rent adjustments – whether requested by a landowner or proposed by a tenant – should broadly be aligned with inflation as measured by the Consumer Price Index (CPI) and should reflect changes in the CPI index since the last formally recorded rent review. In cases of long overdue rent reviews additional guidelines have been agreed to ensure that rent increases are implemented in a series of reasonable steps. Statutory requirements for rent reviews will continue to apply. The establishment of a self-regulatory review panel does not affect landowners’ and tenants’ rights under the 1991 Act. The initiative seeks simply to ensure that statutory requirements and published Tenant Farming Forum guidelines are followed by all in a reasonable manner. Cases that are already in the Land Court process will not be referable to this new panel. “With the final report of the Ag Holdings review group due in December, ongoing and future rent reviews face continued concerns over both rent determination and the Land Court. In that brittle negotiating environment, some form of stability is vital. As an interim measure, this initiative can be a game changer provided those on the ground buy-in to the process. “A sustainable rent test linked to a robust inflation index must make sense for all those involved and can move rent determination away from confrontation to focus on the economic potential of the holding. The low cost rent review panel opens the door to an objective review of the rent determination process and the protocols to ensure balance and avoid the costly shadow of the Land Court weighing on negotiation. “The vast majority of farm rents are agreed amicably and represent good value and there is plenty of evidence to suggest that the actual rent review process, as it stands, works. However, we recognise the concerns of some landlords and tenants who feel that when agreement cannot be reached the cost and angst of a protracted process that in a few cases can end up in the Scottish Land Court is something that should be avoided if possible. 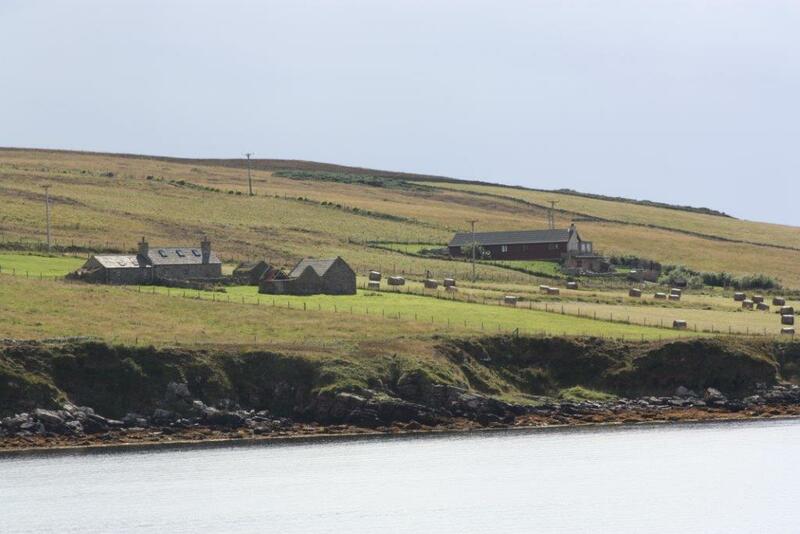 “The method of setting farm rents in Scotland has been a long standing concern of STFA, and recent court cases have demonstrated the difficulties and uncertainties of relying on the current legislation to set a viable and sustainable rent. Until new legislation can be put in place, this measure should return an element of control to rent determinations, and with the backing of all stakeholders sends a clear message from the industry that rent reviews should be conducted responsibly and in accordance with published guidelines. Following today’s comment on the Roxburghe rent case by Scottish Lands and Estates STFA have issued the following statement. Scottish Lands and Estates are following the Roxburghe factor’s unhelpful line in the blame game. It is wholly inappropriate and in poor taste to try and apportion blame in a court decision which may yet be subject to appeal. There are always two sides to every dispute and Lord Johnstone’s remarks are at odds with others involved in the case. Moreover, contrary to the tone of Lord Johnstone’s comments, the tenant would have preferred to have settled the rent but not at a rate which, like for like, would be much higher than neighbouring farms on the estate. There have already been inaccurate and misleading assertions made by Roxburghe Estates in their press release and these need to be addressed*. SL&E should also get their facts right. The rent of Roxburghe Mains, according to the Land Court’s papers was last reviewed in 1999, not 1996 and should be seen in context. An important pint as Scottish Government statistics show ‘between 1998 and 2008 there was little change in the average rent (and hence a reduction in real terms). The average rent then increased by 15 per cent between 2008 and 2011’. In comparison the rent on Roxburghe Mains, fixed by the Land Court rose by 78% between 1999 and 2009. Rather than trying to justify what the Court has described as a “dramatic rise” Scottish Lands and Estates should now reflect on the suitability of the current rent review process. Calls for “constructive and transparent discussions” between landlord and tenant will not heal the sores created by a dysfunctional system which plainly favours one side and takes little account of the productive capacity of the holding. LAND COURT DECISION – A FAIR RENT? 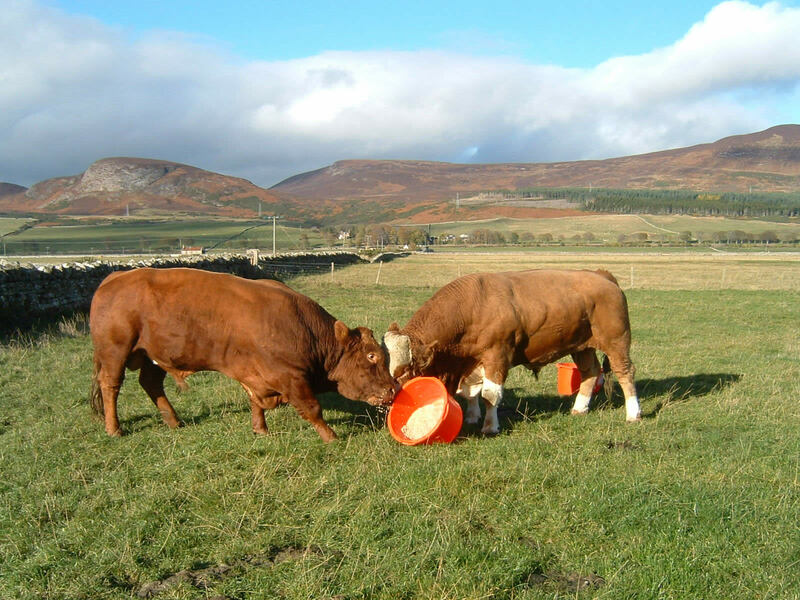 The outcome of the rental dispute between Roxburghe Estates and their tenant John Elliot is deeply disappointing for farm tenants in Scotland and the implications for agriculture and the tenanted sector are serious. This latest decision from the Scottish Land Court demonstrates beyond all doubt what STFA have been saying for many years now that the system of setting farm rents is truly in tatters and a complete overhaul can no longer be avoided and must be tackled in the current review of tenancy legislation. The move in 2003 from statutory arbitration to the Land Court was expected to produce a quicker, cheaper and fairer means of resolving disputes. Patently this has not happened and the situation has become worse. The obvious conclusion must be that the fault lies with the rent test which has made rent reviews overly complex and inherently confrontational. Creating a simpler way of reviewing rent continues to be a priority of STFA and we will be submitting fresh ideas to the Agricultural Holdings Legislation Group. This latest decision from the Scottish land Court underlines the unsuitability of using a court of law to resolve what is essentially a valuation issue and this result will do little to improve relationships between landlords and tenants. In the press release from Roxburghe Estates the factor, Roddy Jackson, has tried to apportion blame to the tenant for the length of time taken to bring the matter to court. However, it must be noted that delays were inevitable due to the pending ruling on the Moonzie rent case. Mr Jackson continues by castigating the tenant for not agreeing settle out of court and insinuating that the decision not to settle may have been influenced by an STFA insurance scheme for legal costs. Mr Jackson’s allegation is totally erroneous as Mr Elliot carries no such cover and insurance considerations have played no part in decision making. It is extremely misleading of Mr Jackson to make such public claims against Mr Elliot and STFA and it is now incumbent upon him to offer a retraction of his statements. This unfounded accusation is compounded by notes to editors quoting evidence given by Angus McCall in a previous rent case with the obvious inference that STFA has been directly involved in the conduct of other rent court cases, this is categorically untrue. Whilst STFA provides comprehensive business and litigation insurance cover, it is precisely that – an optional insurance cover which may assist an individual tenant and is certainly not a war chest. In the first rent case (Moonzie), STFA members voluntarily raised £60,000 to help the tenant contest the landlord’s appeal against the Land court’s decision, in the interest of all because of the precedents which would be set. This sum of money was raised specifically to support the High Court appeal and represented a modest contribution towards the total cost of the case. STFA is prepared to be open about any involvement in rent cases and it is now time to pose the obvious question as to the extent of SL&E’s involvement in similar cases? This result will be a devastating blow to the Elliot family who felt they had no choice but to stand their ground against heightened rent demands following Lord Gill’s ruling on the Moonzie rent case which has proved a game changer in raising rent expectations. Mr Elliot is now faced with a 78% rent rise for the period 1999 to 2009 in stark contrast to Scottish Government’s statistics which indicate an average rise in real terms over the same period of less than 15%. How can this be considered a fair rent? The Land Court’s recent announcement of its decision to raise the rent on a Roxburghe Estate farm has bitterly disappointed Scottish tenant farmers . Yet again the Scottish legal system and tenancy legislation has failed in the setting of a viable farm rent. Commenting on the case, STFA chairman Christopher Nicholson said: “The Scottish Land Court’s decision to fix the rent for John Elliot’s Roxburgh Mains Farm on the Duke of Roxburghe’s Estate at £48,982, a dramatic increase of over 78%, will deal a devastating blow to Scotland’s tenanted sector. “Furthermore, in a misleading statement to the press, Roxburghe Estates have inferred that the case was influenced by the STFA legal insurance policy. However, STFA can confirm that John Elliot was not covered by any insurance scheme which could have provided assistance for legal fees, and therefore insurance considerations had no part to play in the decision not to settle out of court. Moreover, the inference that STFA has backed this and other Land Court cases is totally unfounded. “STFA do operate an insurance policy available to members; it is not designed to encourage tenants to pursue a case through the Land Court, but does provide some safeguard and evens the balance of power between landlord and tenant. “In this situation, faced with changing demands from his landlord, settling a rent out of court was not an option and John Elliot had no choice but to defend his interests through the courts. The delay in hearing the case resulted from the agreement from both parties to cist (put on hold) the case pending the 2012 Land Court decision on the Moonzie rent review case. “In making their decision, the Land Court has focused almost exclusively on the evidence of a single open market letting and arrived at an annual rent, which in their own words ‘could not be supported by any budgetary evidence’. By following the strict legal definition of the open market test as set out by Lord Gill in his ruling on the Moonzie case, the Land Court have driven coach and horses through the advice and thinking provided by various professional practitionerss in light of the Moonzie case including the recently published SAAVA ‘Practitioners Guide to Scottish Rent Reviews’, which emphasises the need to ensure that a farm rent is viable by reference to farm budgets and other settled rents. “Despite other recent lengthy and costly Land Court cases on rent reviews, the process remains extremely uncertain for both parties. If a tenant such as John Elliot, himself an knowledgeable and respected farm arbiter with experience of conducting rent reviews, can fall foul of the system then there is little hope for the rest of Scotland’s tenants. This case clearly demonstrates the need for radical change to the legislation governing rent reviews. This is a complicated legal judgement and once we have time to digest the detail and matters arising from this decision STFA will be making further comments at a later date. Scottish Lands and Estates have today signalled a revision of their position on rent reviews. They are now proposing cross industry discussions which would consider the introduction of productive capacity of a farm as a factor in determining rents. In welcoming Scottish Lands and Estates’ u-turn on rent reviews following over a decade of stonewalling STFA has insisted that agreement to abandon the use of open market comparables in 1991 rent reviews must be a prerequisite of any discussions on rent review changes. STFA chairman Christopher Nicholson commenting on the news said; “The industry has been discussing rent reviews in the TFF for over a decade now and has made little progress. Rents are probably the most contentious issue in landlord tenant relationships, a fact that landlords are only now prepared to acknowledge with the advent of the Agricultural Holdings Legislation Review Group and against a backdrop of land and tenancy reform. “SL&E’s olive branch on rent reviews has obviously been offered through clenched teeth but STFA firmly believes that the current rent review system is deeply damaging and requires a thorough overhaul. We are prepared to discuss solutions with other stakeholders as part of the tenancy review but the question of open market comparables is very much a red line issue. “The need for change is indisputable, the tenanted sector is awaiting the Land Court’s decision over the latest rent dispute between Roxburghe Estate and one of its tenants. This rent dispute will have taken nearly six years to resolve involving over fifteen days in court at astronomical cost. Whatever the outcome of this case, there can be no clearer demonstration of the need for change. “There is a desperate need for rent reviews to become much more straightforward and less confrontational and the industry should look further afield than the constraints of the 1991 Act for a fairer and more suitable way of agreeing rents. One simple solution, for example, would be to impose a cap on rental increases or decreases linked to an annual index such as inflation. 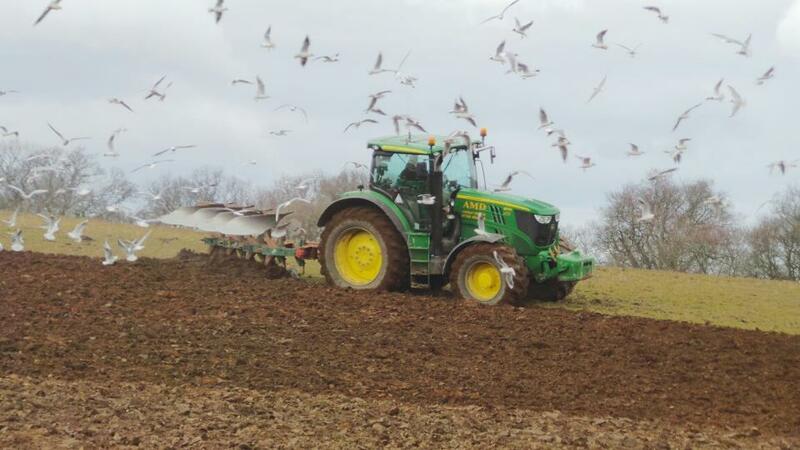 The Scottish Tenant Farmers Association has welcomed the final report of the Land reform Review Group published today as a phoenix rising from the ashes. In contrast to the interim report the Review Group has produced a comprehensive, wide ranging and powerful report on the future of landownership and management in Scotland making sensible and well considered recommendations to diversify land ownership and strengthen rural communities. Commenting on the report STFA Chairman Christopher Nicholson said; “This is a long report which will take some time to digest but from an initial reading it very much reflects STFA’s thinking over the last few years and will undoubtedly be welcomed by tenant farmers. Above all the report establishes the link between land and tenancy reform and provides some clear guidance to the Agricultural holdings Legislation Group. “STFA is especially pleased that the Review Group have recognised the contribution made by tenant farmers in rural communities and the importance of the ‘inter-generational continuity they represent’; a contribution that is rarely acknowledged by policy makers. The Review Group has also recognised the difficult situation many tenants find themselves in, the bleak future they face and the need for radical reform to the tenancy system. Tenancy reform is undoubtedly the remit of the AHLRG but it is helpful that the LRRG report has reinforced that need and placed it in the context of land reform. “The report also comments on the benefits that ownership gives to tenants who freed from the constraints of a tenancy have greater incentive to invest in and develop their businesses. “The Review Group’s recommendations on the existing tenants’ right to buy are common-sense, the requirement to register an interest in order to trigger a pre-emptive right to buy is unnecessary and has already deterred a number of tenants from registration and the requirement to re-register will account for many lapsed registrations. Tenant farmers widely support a conditional right to buy which STFA has already recommended to the AHLRG. We welcome the Review Group’s endorsement, and look forward to seeing how an “actual” right to buy can be applied in the public interest. 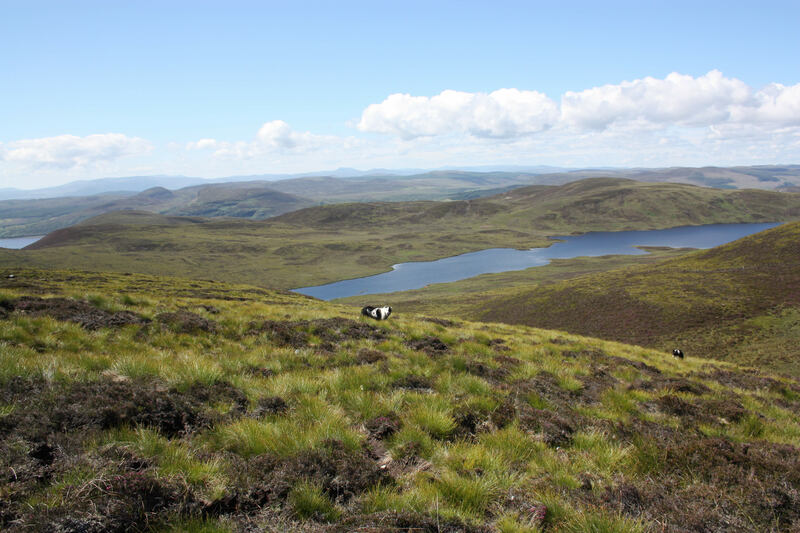 “The LRRG’s recommendations to improve the position of Small Landholders by allowing a statutory right to buy will bring a sigh of relief those tenants whose situations have been ignored by successive governments, especially on the Isle of Arran.